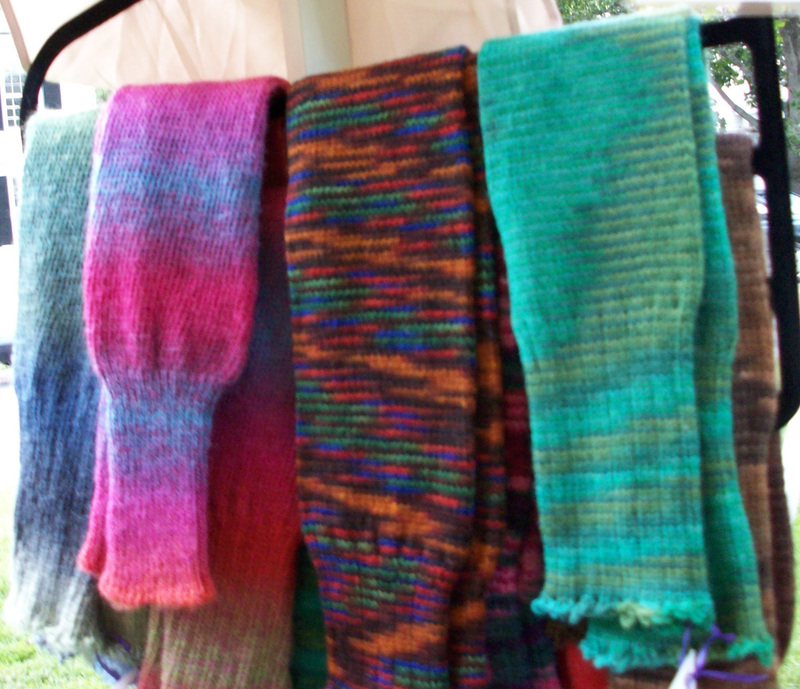 Leg Warmers are made of superwash wool and nylon blend in a wild variety of colors and patterns. Fun and fashionable to wear, they are also warm and cozy. The shorter length can also be worn as arm warmers! I create these in the round on my hand-crank circular sock loom, so there are no seams. Young girls, teens, dancers, women and even the elderly have enjoyed wearing these beautiful leg warmers. Machine wash lukewarm, dry flat.